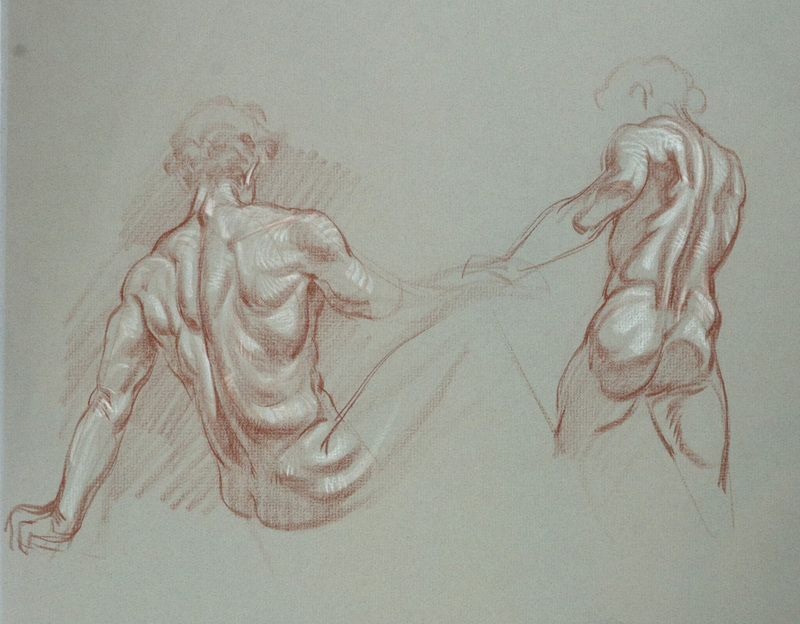 About the Class: This is an intensive course designed to solidify your understanding of the gesture, form, and anatomy of the human figure. Beyond just memorizing anatomical diagrams, we will focus on the structure and function of the anatomy to better understand how it can be used as a design element. 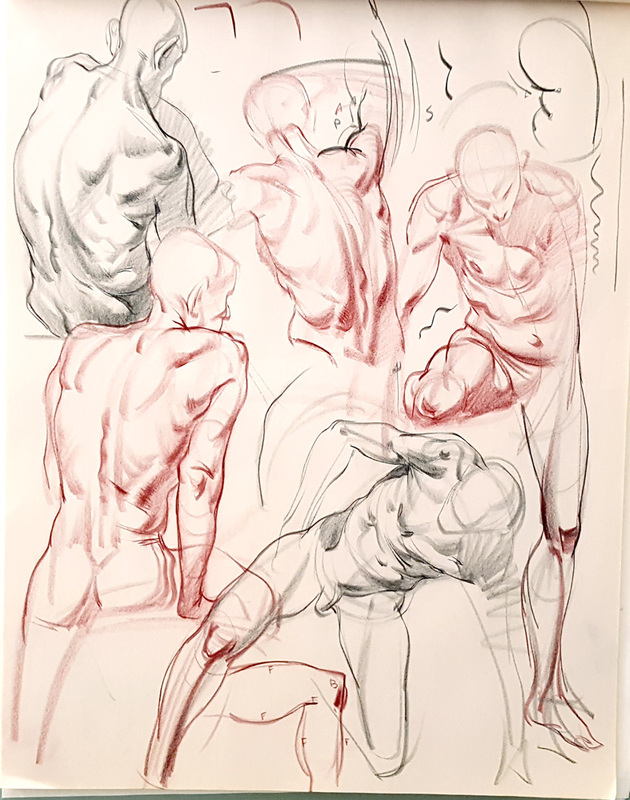 Each week we will go over different drawing concepts or parts of the body and focus on understanding how to organize and design the various complexities of the human form. Course level: Recommended for intermediate students. Some drawing experience is recommended but not required. Class Format: This course will be taught live via skype and will run for 12 weeks, 3 hours each session. We will start each session with a homework critique before moving on to the lecture and demos for the weeks topic. Class will be limited to 10 students. Homework: There will be homework assigned every week based on the lecture material. Materials: This course will primarily be taught with traditional medium but some demos or critiques may be done digitally. For students traditional medium is recommended but not required. A supply list for materials along with recommended books will be emailed. Understanding how to identify the overall gesture of the figure in both 2-dimensional and 3-dimensional space. The underlying skeletal structure of the figure and how to identify it using landmarks. The basics of light and shadow and some basic rendering techniques. How to communicate the volume of forms. A basic lay-in for heads and how it connects to the shoulders. The mechanics and forms of the upper torso and shoulders. The mechanics and forms of the upper legs and knees. The mechanics and forms of the lower leg and feet. The mechanics and forms of the lower arms. Basic breakdown of the hands and strategies for drawing and simplification. An overview of the larger structures of the head. Emphasis on drawing from different angles.